All medals for the Tokyo 2020 Olympics will be made from metal collected by recycling electronic waste, games organizers said on Friday. Tokyo's organizing committee in 2017 launched a project to collect assorted electronic waste — including old smartphones and laptops — from the public to collect metal for the medals. In a statement issued on Friday, organizers said the collection was expected to reach its goal and will end in late March. By November last year, municipal authorities had already collected 47,488 tons of discarded devices, with the public handing in another five million used phones to a local network provider. Organizers had set a target of 2,700 kgs (about 5,950 pounds) of bronze, 30.3 kgs (67 pounds) of gold and 4,100 kg (about 9,040 pounds) of silver. 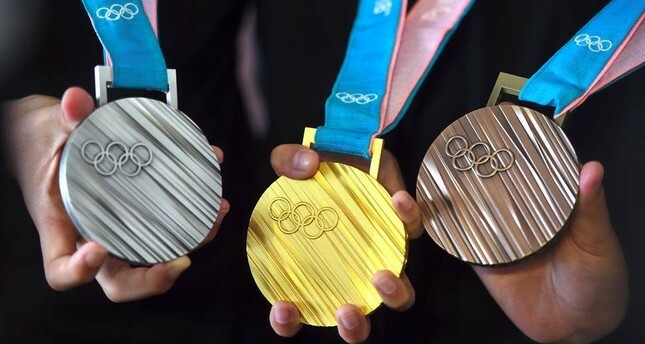 "It is estimated that the remaining amounts of metal required to manufacture all Olympic and Paralympic medals can be extracted from the devices already donated," the organizers said.